My mother-in-law came through, once again, with another amazing recipe!! 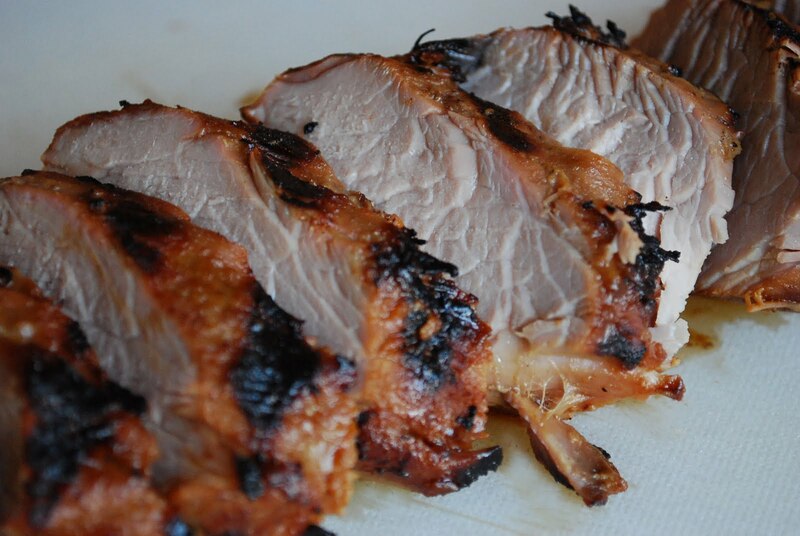 She sent this grilled bourbon pork tenderloin recipe to me last week. The original came from About.com, but she made her own changes. She’s gifted in that department. I had just bought a couple of pork tenderloins that I was trying to decide how to prepare. I am happy that she passed along this keeper to me. It’s definitely going in my favorites file. For extra flavor infusion, pierce tenderloin all over with a fork before marinating. It turns out very moist and so delicious!! In blender or food processor, combine bourbon, soy sauce, brown sugar, garlic, mustard, ginger, Worcestershire sauce, hot sauce, and oil; pulse until smooth. Place tenderloin and marinade in a food storage bag; refrigerate for 4 hours or overnight. Cook 4 inches from a hot charcoal fire for 15 to 25 minutes or until the pork has reached 165 degrees internally and is no longer pink in the center - careful! Do not overcook! Let rest a few minutes when done, then slice in 1/2-inch thick slices to serve. I cannot wait to try this. Yumyum! This pork looks amazing! I love to cook using pork and am always looking for new recipes. I love your blog. I am your newest follower and look forward to your posts. Have a great week.